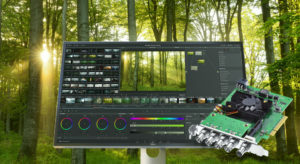 Blackmagic Design has announced a host of new hardware and software updates this week. 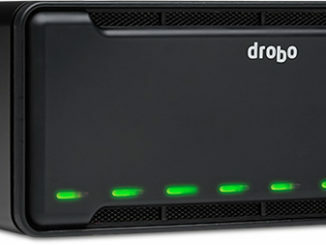 Chief of which, is a new DeckLink Pro with 12G-SDI that will better manage 8K video workflows. There are also new MiniConverters and a camera update for the Blackmagic Micro line. The new DeckLink 8K Pro supports film and video formats from the lower-end standard definition, and all the way up to 12 Bit 4:4:4 SDI, which supports advanced color spaces such as Rec 601, 709 and 2020 for greater dynamic range and color. DeckLink can also manage up to 63 channels of audio, stereoscopic 3D, and higher frame rates of up to 60 frames per second. The DeckLink 8K Pro is designed specifically for integration with DaVinci Resolve 14.2 but can also work with Final Cut Pro X, Avid Media Composer, Adobe Premiere Pro and After Effects, Nuke and others. Cost of the DeckLink 8K Pro is $645 and will be available in January 2018. 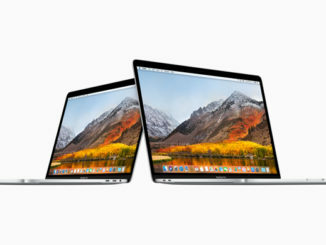 You can pre-order at B&H [affiliate link]. 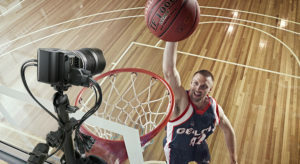 Blackmagic also has a new Camera update for their compact Micro Studio and Cinema Cameras. Camera update 4.7 adds new video format support, and fine tunes the cameras’ sensor performance for better exposure from the cameras sensor by 22 additional stops and higher gain settings. Frame rates of up to 60 frames per second at 720p for broadcasters, as well as RAW output via SDI and new remote control options. The free update is available for download here. 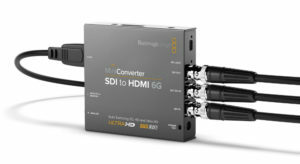 Blackmagic also continues to expand its converters line with a new HDMI to SDI 6G Mini Converter, and one that goes the other way, an SDI to HDMI 6G Mini Converter. At a price of $145 to $185, the new converters make it possible to convert in all formats up to 2160p and are compatible with all SDI based broadcast equipment. The SDI to HDMI 6G model also includes HDMI instant lock and 33 point 3D LUT support. You can pre-order here. “These new converters give customers a way to use everything from big screen televisions to laptop computers and even digital cinema projectors with their existing SDI equipment and facilities,” Petty added. Lastly, Blackmagic is also reducing the price of their USB powered Micro Converters. The Micro Converter HDMI to SDI has been lowered to $39. In order to save on costs, the Micro Converter has been repacked without a power supply so that users can deploy a power supply they already own. As someone who has a box filled with old power supplies, this makes sense to me. The Micro Converter SDI to HDMI is also available at a price of $45. 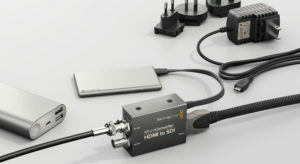 But if you need one and don’t have an extra AC power supply kicking around, Blackmagic is also making the micro converters available with an AC plug for $55 (HDMI to SDI) to $59 (SDI to HDMI), respectively. For more information, check out Blackmagicdesign.com.